Produktinformationen "Jewish Translation - Translating Jewishness"
This interdisciplinary volume looks at one of the central cultural practices within the Jewish experience: translation. With contributions from literary and cultural scholars, historians, and scholars of religion, the book considers different aspects of Jewish translation, starting from the early translations of the Torah, to the modern Jewish experience of migration, state-building and life in the Diaspora. 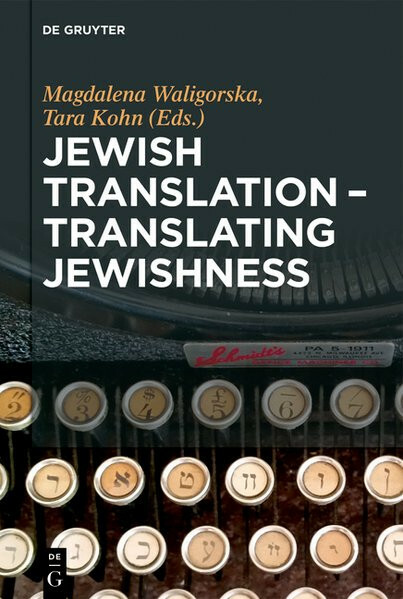 The volume addresses the question of how Jews have used translation to pursue different cultural and political agendas, such as Jewish nationalism, the development of Yiddish as a literary language, and the collection of Holocaust testimonies. It also addresses how non-Jews have translated elements of the Judaic tradition to create an image of the Other. Covering a wide span of contexts, including religion, literature, photography, music and folk practices, and featuring an interview section with authors and translators, the volume will be of interest not only to scholars of Jewish studies, translation and cultural studies, but also a wider interested audience. Unser Kommentar zu "Jewish Translation - Translating Jewishness"